JFK was not killed by a lone gunman. Gas and oil companies killed the electric car. The government is controlling us via HAARP’s radio waves. 9/11 was an inside job. Conspiracy theories are pretty fun, so long as everyone takes them with a grain of salt, or better yet, as pure entertainment. But conspiracy theorists around the world are high-fiving each other and yelling “I told you so!” with the recent confirmation that Area 51 does indeed exist. Not that Google Earth couldn’t have told us that, but at least now the government acknowledges it. A 1992 report documenting the history of U-2 spy planes has just been declassified thanks to the Freedom of Information Act invoked in 2005 by National Security Archive senior fellow Jeffrey Richelson, and affirms the location of Area 51, as well as its use as a government facility. While the confirmed existence of the site may trigger some to buy into everyone of the theories surrounding the once-secret location, according to the report, the UFOs alleged to be associated with the facility were really U-2 planes flying at altitudes of roughly 60,000 feet. Back in the 1950s, commercial planes typically flew between 10,000-20,000 feet, while it was more common for military aircraft to fly no higher than 40,000. Thus, people didn’t expect, or even think it was possible for aircraft to fly at 60,000 feet, which, along with the difficulty in discerning objects flying so high, led to the assumption that they were extraterrestrial in origin. The report asserts that while this enabled investigators to rule out most of the UFO sightings, they were forced to bite their tongues with regards to the real cause. The report does not acknowledge the existence of aliens. 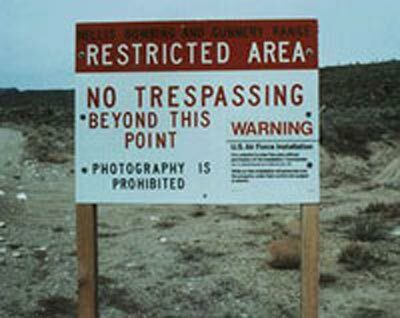 Even though Area 51 has been mentioned in government documents before, the report contains the first overt admission that it is a government facility. It’s possible that the release of the document could spark a change in the government’s stance on infamous facility, prompting even more information to come to light. So while the document isn’t as juicy as conspiracy theorists might have liked, many will undoubtedly cling to the hope that more information will emerge and confirm their suspicions, especially since parts of the report are still redacted. Meanwhile, the aliens are laughing and agreeing with Neil deGrasse Tyson.